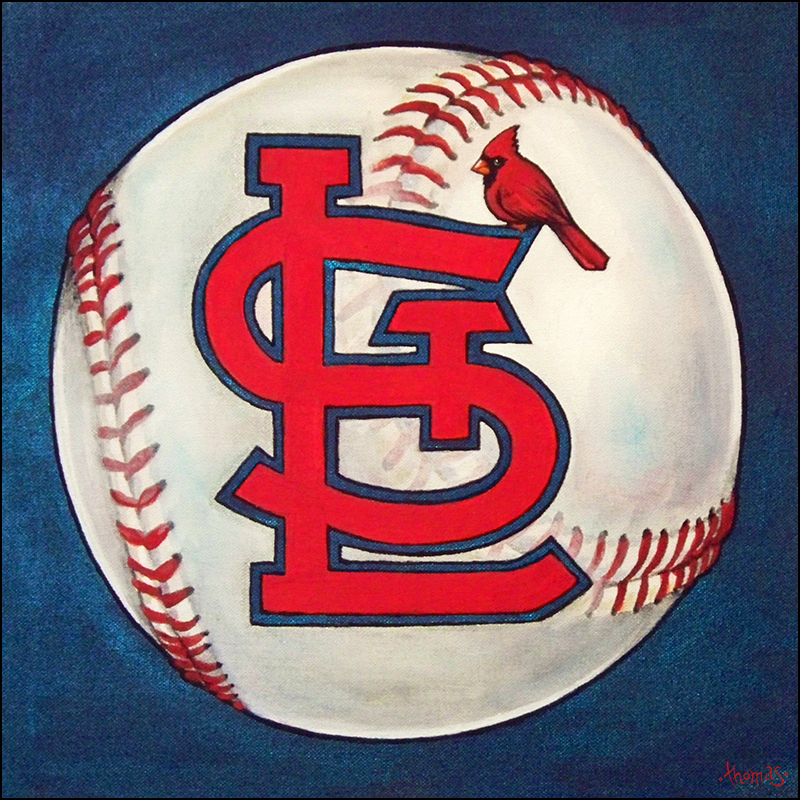 Finished my St. Louis Cardinals painting this morning while waiting for Windows 10 to be installed. Actually started this painting last year at the Ozarks Craft Festival. Usually always finish artwork so a bit surprised that it sat unfinished for this long. Going to a Cardinals game in a few weeks and so got the fever to finish the painting! The painting is done in acrylic paint and the dimensions are 12 x 12 inches. Even though it is a simple painting ran into a few problems along the way. One of the problems was that I needed to have the logo stand out and have it be the same color as the threads on the ball. Another small problem was getting the ball to look circular. Kept having to add curve around the edges with white. I like the way that the metallic blue turned out. Of course the original painting looks way better than the photo that I took.